According to the quran, the islamic “god” Allah (see https://exposingthelieofislam.wordpress.com/iblis-and-the-djinn-the-original-gods/ for the truth concerning the origins of “Allah”/Al-Ilah) posesses 99 names. Those who submit to islam are encouraged to recite or chant these names, a teaching supposedly brought forth by their prophet Muhammad. Each names holds a meaning and significance. Now, this quote is extremely telling to those who can understand the meaning behind it. This is Spiritual Alchemy! The quran, like the christian bible, contains tons of stolen and corrupted Alchemical messages. 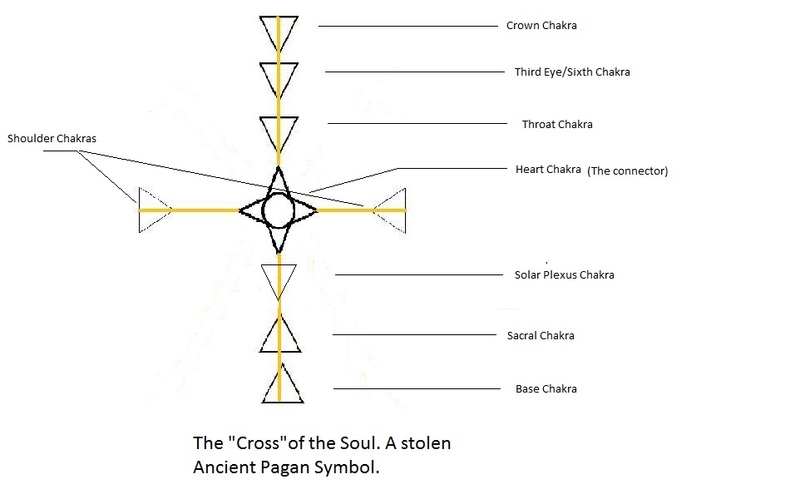 http://see_the_truth.webs.com/Exposing_Corruption.htm The Alchemical messages, as they stood originally in the Ancient Pagan Spiritual Texts, were meant as guidelines for achieving Spiritual Enlightenment. Once the enemy got hold of them and hideously corrupted them, they were literally reversed and turned into tools of enslavement. As well as this, turning these Alchemical allegories into something literal drains them of all Spiritual significance and power. To analyze the quote -“Paradise”= the Crown Chakra and the rising of the Kundalini Serpent to the Crown Chakra. The Crown Chakra is the Alchemical seat of “Heaven”. Many have heard the term “7th Heaven”. This refers to the Crown Chakra, as the 7th of the 7 major Chakras. “Enter Paradise”- This is the attainment of Enlightenment/GodHead. The enemy has corrupted this into something literal in order to prevent Gentiles from reaching True Spiritual Power. Due to millions being fooled into believing that “Paradise” is a literal physical destination to which they will be admitted should they obey each and every rule laid forth to them by this so-called “god”, no work is being done upon the Soul in order to achieve true Paradise/Enlightenment. Instead of empowering themselves, they are empowering the enemy agenda. This “chanting of 99 names” is a hideous corruption of the extremely Ancient Spiritual practice of mantra vibration. Sound has been an important factor of life since the birth of humanity, having been described as the originator of creation itself in many Ancient cultures. Modern Science ( which is only just beginning to catch up with Ancient Spiritual Knowledge) has now proven that sound has a profound affect on physical matter, having the ability to move it, reshape it and even alter it permanently. This has proven the power and benefits of mantra vibration and how this can act upon the Mind, Body and Soul, leading to healing, harming, advancing and empowering. Here are some links that speak about this: http://undergroundhealthreporter.com/dna-science-and-reprograming-your-dna/#axzz3PLzMVbVJ http://www.cymascope.com/cyma_research/history.html Having known of the profound power of sound, our Ancient Pagan Ancestors made use of certain words of power, vibrated in certain ways and at certain frequencies, to advance their own Souls on the path to reaching Spiritual Enlightenment, to heal themselves and others, to combat enemies and so on and so forth. The most Ancient and most powerful language for mantra vibration is Sanskrit, having been created first and foremost as a Spiritual based language. The Ancient Sanskrit religious texts often prescribed specific mantras to be vibrated frequently, a certain number of times, in order to raise the vibration of your Soul. The number of times was also a significant aspect of this, and ties into numerology. Without going into too much detail and getting off topic, there are certain numbers which are sacred and which carry certain power. The number 9 has played out in Spiritual texts throughout the centuries and relates to the 9 major Chakras- the 7 Chakras along the spine and the 2 shoulder Chakras. In a diagram form, this creates the “cross of the Soul”. Christianity stole the symbol of the cross from this Alchemical concept. The main point I am trying to make here is the significance of the number 9. The Ancient Sanskrit texts most often prescribed 108 as being the ultimate number of times to vibrate a mantra, this being the most powerful. 1+0+8 = 9. 108 is a multiple of 9. Mantras could also be vibrated in various multiples of 9. Onto how islam STOLE and corrupted the concept of the “99 names of god”. Again here you see the use of the number 9. This is stolen from the Ancient Pagan traditions and the use of the number 9 and multiples of 9 in repetition of mantras. “God” is a code-word for the Chakras, the Soul and Spiritual Enlightenment. Islam lifted the “names of god” from Ancient Sanskrit texts, in which sacred names of various Gods and Goddesses were revered and vibrated in order to tune into those specific frequencies. This goes on and on. When you examine these “99 names of allah” it is glaringly obvious that this concept was stolen from the much more Ancient Sanskrit Names of the Gods. I am only linking to the above for educational purposes and to illustrate the very obvious similarities between the stolen islamic version of “the names of god” and the original Pagan versions. I need to explain here- the Gods ARE real physical beings. However, they also often represented very important Spiritual Allegories within Ancient Texts. The Sanskrit Names of the Gods and Goddesses, refers to vibrations which affect specific Chakras and areas of the Soul. In this sense, here “God” and “Goddess” refers to these areas of the Soul. The ORIGINAL Sanskrit mantras were meant to empower the individual and lead them into a God-like state of being. When islam stole this concept and corrupted it, the intention moved away from empowerment of the individual to the empowerment of the enemy agenda. Instead of the energy raised being directed to the individual, it is being directed to the judaic enemy “god” which in truth is the entire enemy agenda. Islam STOLE the concept of the names of god, corrupting it to enforce its agenda of enslavement!!! Those who give praise to the islamic “god” are giving praise to their own damnation!